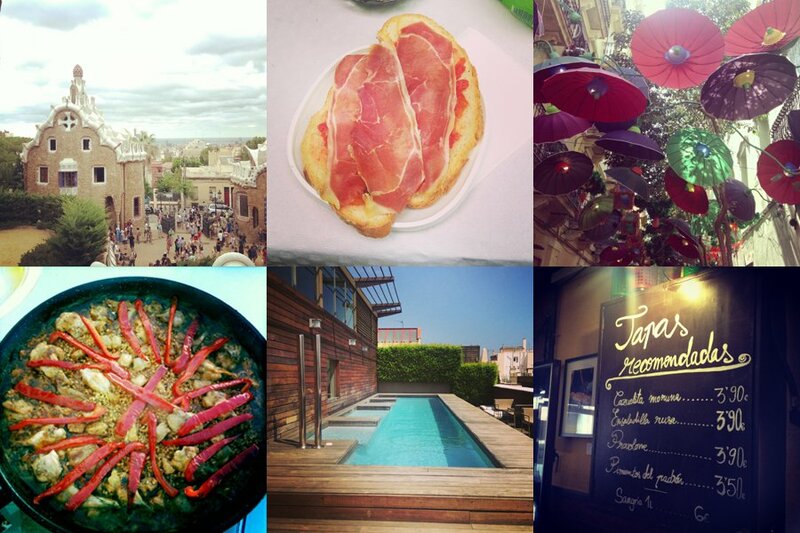 Snapshots from a stroll around Barcelona. All photos by Karina Correa. When we heard that Karina Correa and Petrit Pula, owners of NYC tapas bar , were heading to Barcelona, we asked if they could take us along. Instead, they took their camera — Karina is a filmmaker by trade — checked into the Hotel Omm, then checked out the neighborhood. The result: a charming two-minute film about Omm and the Gracia district. BARCELONA – String together a bustling Barcelona cafe, an old-school New York diner, and a little East Village attitude, and you'll end up at Bikinis, the Manhattan bar we opened in 2011 with a feel-good atmosphere and a truly neighborhood vibe. The name is also the signature sandwich, an adaptation of the French croque monsieur served in the 1950s at the Bikini concert hall in Barcelona's Les Corts district. We serve those famed sandwiches along with tapas, drinks, and conversation. After a successful summer, it was time to return to Barcelona to visit friends, sample pinchos, and find fresh inspiration! We checked into , a Design Hotel in a posh neighborhood right on Paseo de Gracia, the most expensive shopping street in Barcelona. There's a Michelin-star restaurant, serenely minimalist rooms, and a rooftop pool overlooking Gaudi's curvy architectural details. The hotel put us in prime position for strolling down the Fiestas de Gracia — an annual summer festival in the neighborhood of Gracia, the most traditional Catalan neighborhood in the city. During the day there is dancing, shopping, and live music. At night there are concerts in the plazas (especially Plaza del Sol), people cooking paella on the side streets, more dancing, and lots of drinking. Everything is open to the public, and everyone pours out onto the streets of the barrio, which are thematically decorated (poetry, the sea) and illuminated with lanterns and candles and string lights that stay on well into the night. Giant paellas, infinite tables on the street, rooftop cocktails. We made a two-minute video for Popupla about Hotel Omm and Fiestas de Gracia. Karina is a filmmaker, actress, travel television host, and former NYC restaurant owner. She travels for the adventure, discovery, and food. You can find her work on and and see her discoveries on Instagram at .